Mud therapy is perfect for everyone! 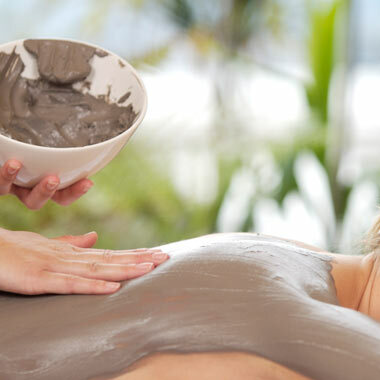 Mud therapy is a completely natural thermal treatment: perfect to fight rheumatism, arthritis and osteoarthritis, muscle tension in the neck and above the back, due to stress, poor posture, injury, or other ailments. The 3-star superior Aurora Terme Hotel is approved by the National Health Service and the main health service agencies. 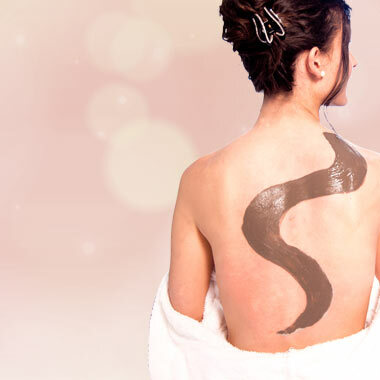 The thermal mud of Abano Terme offers real benefits, certified by scientific studies. It fights and naturally cures: rheumatism, arthritis, osteoarthritis, tension and muscle fatigue. If you wish to experience the benefits of thermal treatments, we suggest you to choose from one of our packages featuring full board + mud therapy treatments cycle + wellness treatments cycle and access to relaxation areas and spas. 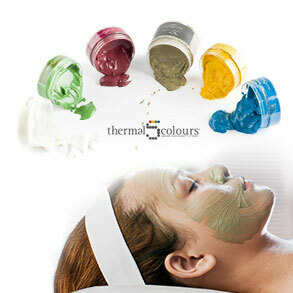 The effectivness of Abano Terme thermal muds was proved by scientific studies. They are perfect for both the young and not-so young as treatments or preventive treatments! Aurora Hotel’s mud is rated number 1 exceptional grade by the Ministry of Health for its verified therapeutic qualities and characteristics. It is an osmosis of clay, mineral water and biological elements that make it a powerful anti-inflammatory treatment. fights osteoarthritis, arthritis and rheumatism. Inhalation treatments are cures and treatments of exceptional effectiveness that should not be missed from any respiratory and Otorhinolaryngologic treatment programs. Thermal water is an effective treatment for upper and lower airways ailments as well as for chronic health issues and infections. 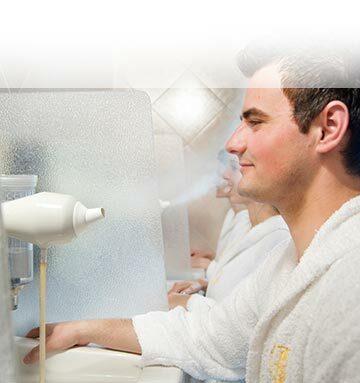 Inhalation treatments with thermal waters are extremely beneficial and approved by the Ministry of Health. The relaxing vasodilator and analgesic properties of thermal mineral rich water, with the addition of effective ozone hydromassage increase the benefits by stimulating blood circulation.